This entry was posted in Wacky Wednesdays! 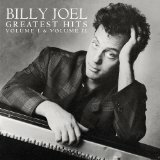 and tagged 2 Dope Sistahs, Billy Joel, Music, Wacky Wednesday by Da Realist 1. Bookmark the permalink. Journey and the Manhattan Transfer. Oh yeah, I think I’ve got at least one Manhattan Transfer song on mine. And I’ll bet everyone who was alive in the 1980s knows some Journey songs. I sure do.